Hoffman Boots' 8 inch Explorer is a no nonsense hunting boot built for the most demanding outdoor enthusiast. With over 50 years of boot making experience and technological advancements being used to design the Explorer, the Hoffman 8 inch Explorer was devolved to be the most comfortable and functional hunting boot on the planet. A solid one piece vamp made with the finest 2.8 -3. 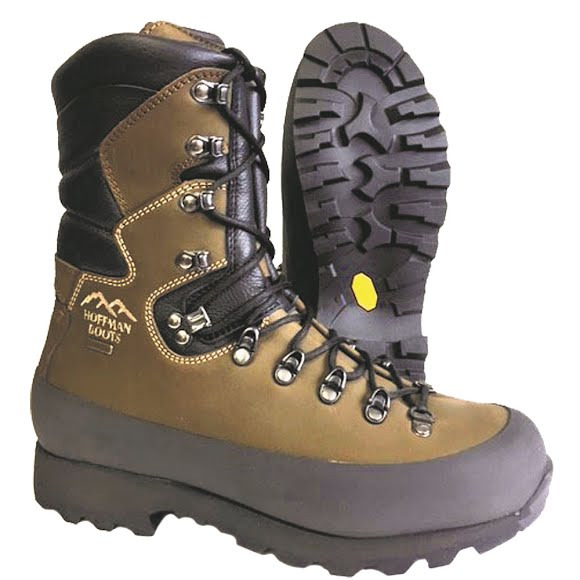 Hoffman Boots &apos; 8 inch Explorer is a no nonsense hunting boot built for the most demanding outdoor enthusiast. With over 50 years of boot making experience and technological advancements being used to design the Explorer, the Hoffman 8 inch Explorer was devolved to be the most comfortable and functional hunting boot on the planet. A solid one piece vamp made with the finest 2.8 -3.0 mm leather provides excellent ankle support while a solid nylon mid sole adds plenty of lateral stability on uneven terrain. Lightweight and breathable, the Hoffman Explorer is the perfect balance of comfort and performance. These boots are great-I tried on all the other high-end Italian and German boots, the Hoffman’s fit my foot the best. They’re made in Italy by Armand, across the street from the Kenetrek factory, and imported by Hoffman’s in Kellogg, ID. They are fantastic for side-hilling and extremely stable. While they say they are an 8” boot, they’re more like a 10”. Taller than my 8” Crispis. To date, I’ve got just over 100 logged miles, and probably another hundred for chores around the ranch, going to town, etc. I couldn’t be happier with these boots. Are they better than the other brands? I doubt it-quality looks to be on par with Kenetrek, Meindl, Schnee, and the others. Try them all and go with what fits your feet best!